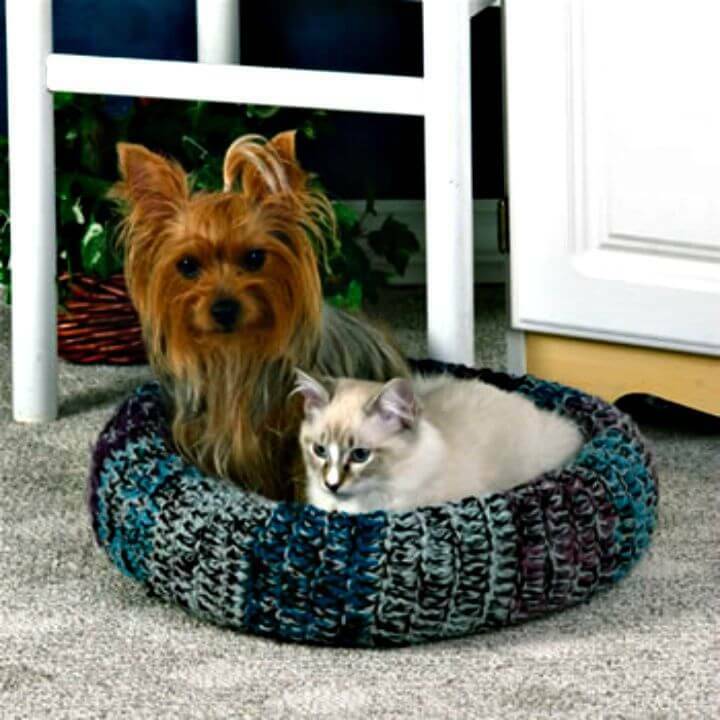 If you are focused on keeping pets like cats, then you will have the urge to do something special for your pet that will bring a lot of happiness to your pet! 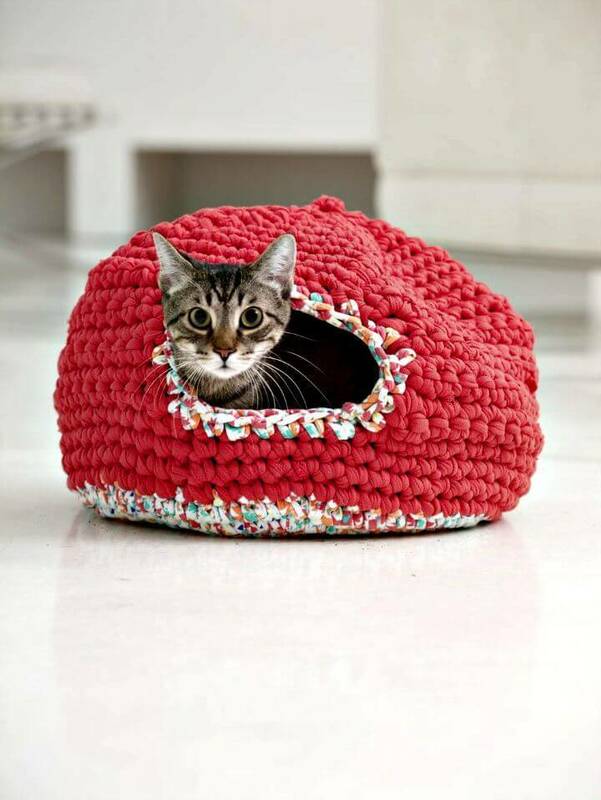 The very first thing you can do in love of your pets is to provide them a comfortable separate housing and a cozy place to rest, and this calls for a comfy cat bed and house for sure! 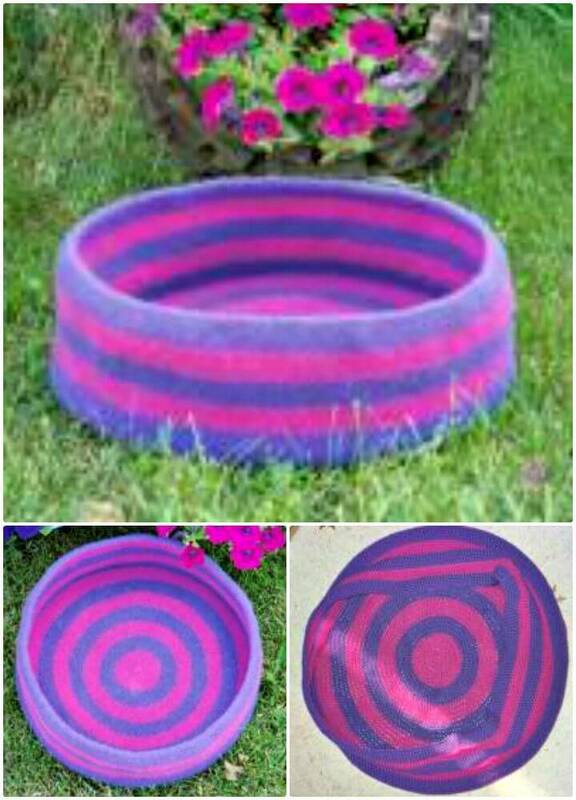 You can do various outstanding and smart DIY projects to build great looking cat beds and cat houses at home using the recycled wood, plumbing scrap and different other scrap materials from home or surrounding scrap piles! 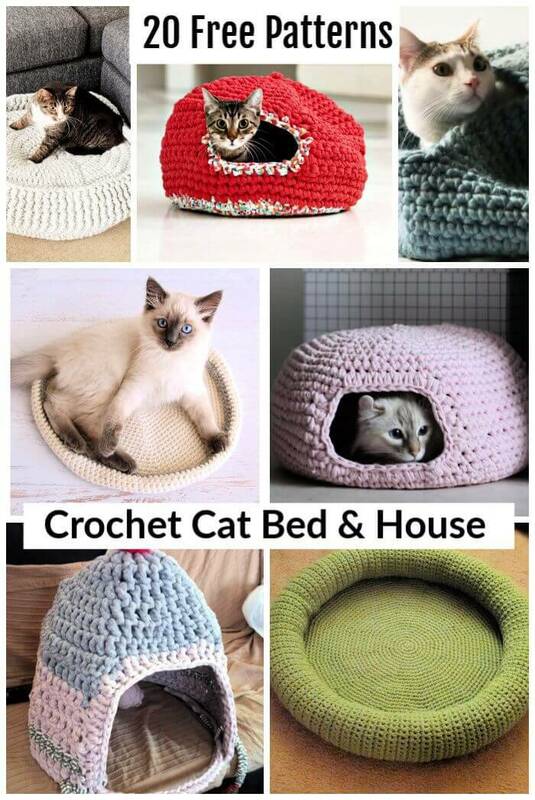 But there is another excellent option also, get busy with your crochet hook even to crochet outstanding cat houses and cat beds at home without spending a penny from your pocket! 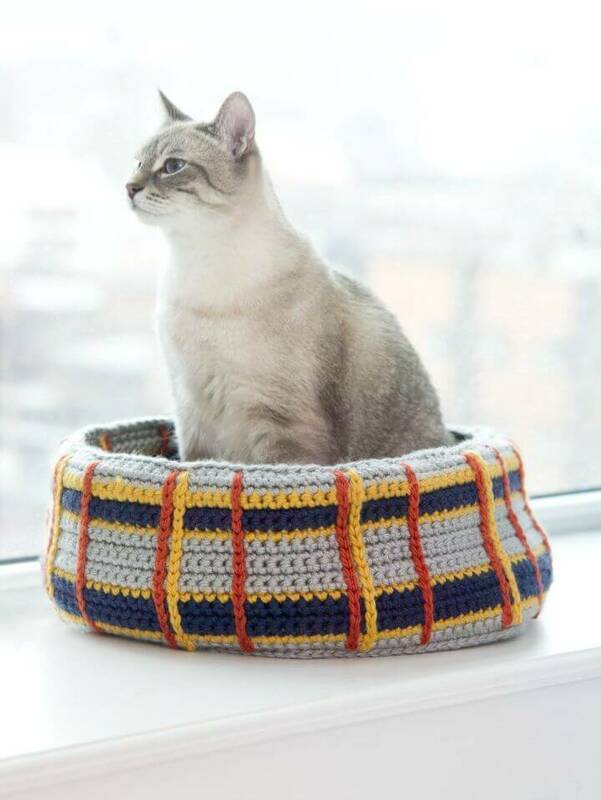 To help you more in this, we have brought here 20 free Crochet Cat Bed and House Patterns that are cute and beautiful and would make the super comfortable platform for your cat to sleep and sit after getting tired! 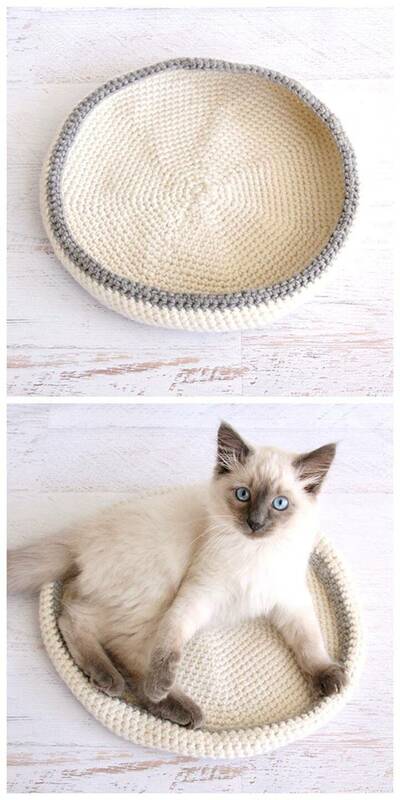 Crochet a big round tray like the shape and this will make a comfy cat bed and can be dragged to any location of your home! 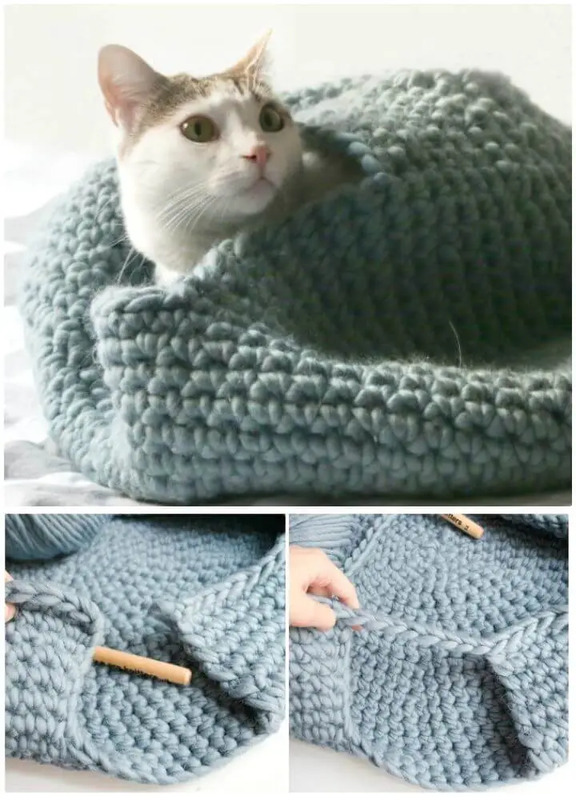 Moreover, also crocheted the covered beds for your cats that may come with the front openings and with custom yarn roofs and will also make the super cozy shelters for your cat in the dead of cold! Get inspired by some interesting samples given below that you can experiment with different yarn colors also! 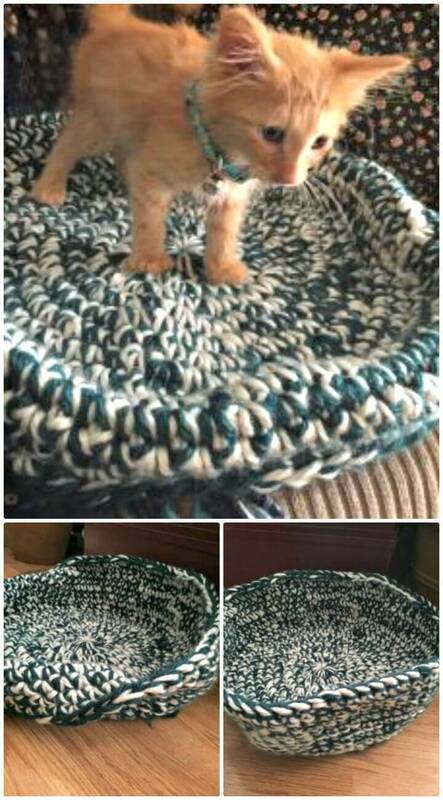 Please your cat by crocheting Marley’s cat bed and crochet the chunky yarn or fabric yarn to make adorable kitty cozies for chilly days! 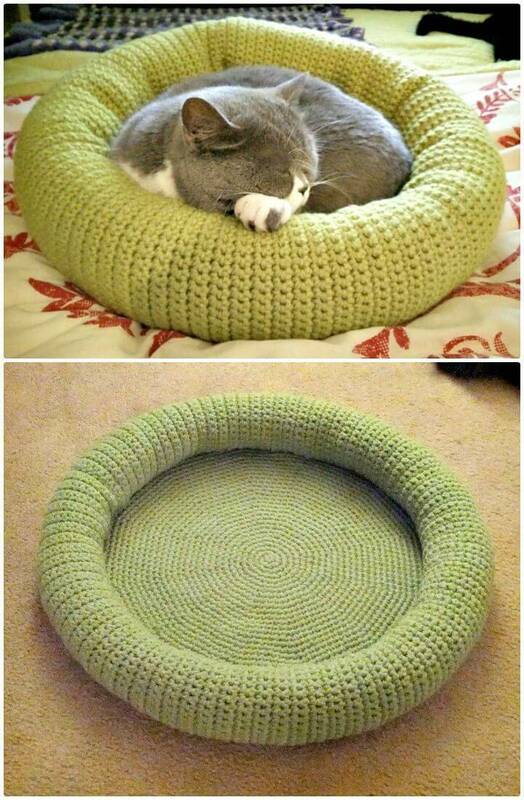 Next, you can also crochet the bigger rounds that may come stuffed thicker border and thus will make a luxurious cat bed! 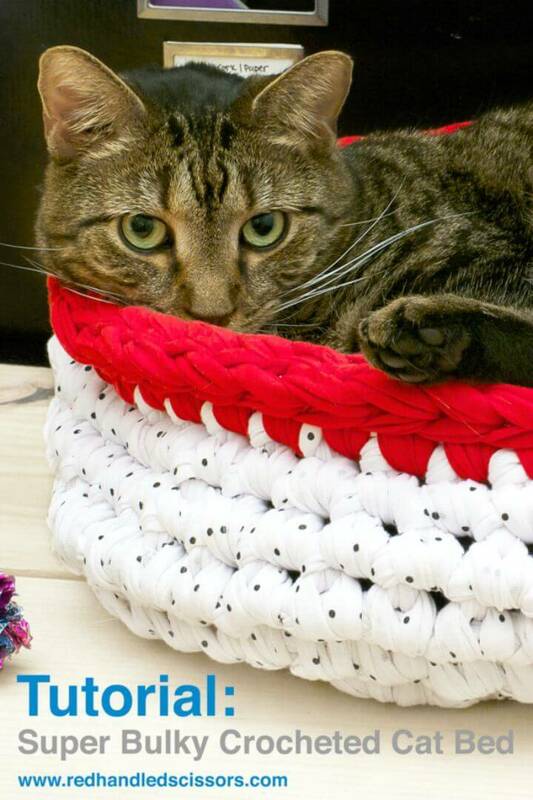 Another beautiful crochet cat bed sample is the given bulky cat bed that has been crocheted using fabric yarn and comes with a red and white color hue that goes much enticing to eyes! 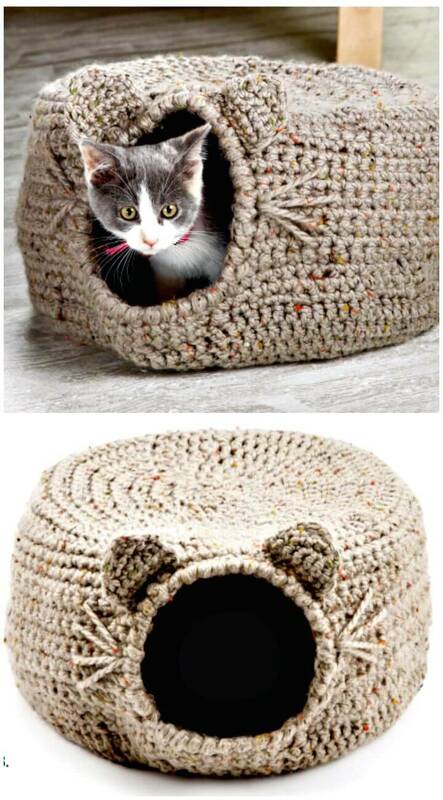 This just not ends here, crochet also the fun shape houses for your cat by getting a little busy with your crochet hook! Get inspired by the given shark cat house that is just lovely to look at and would make a great gift to a cat owner! 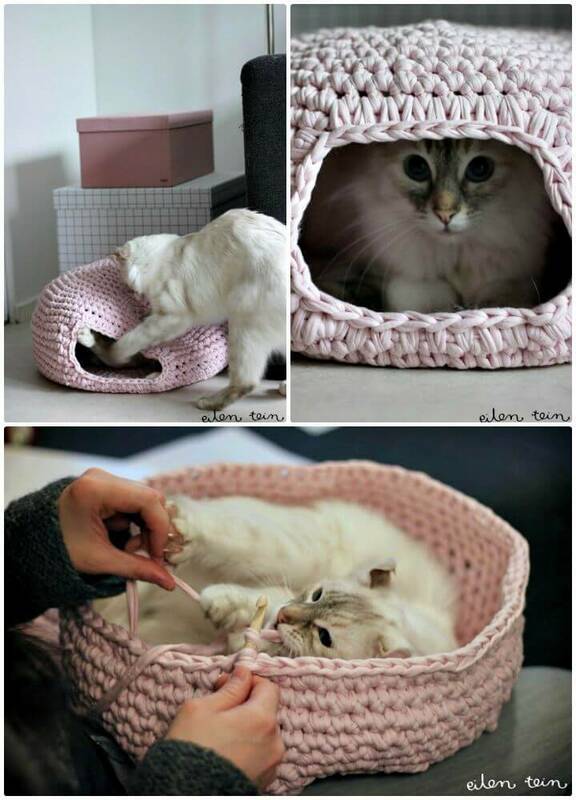 Next, you can also crochet the round basket like shapes that will make great cat beds and can also be made more comfortable by adding a custom foam mattress and cushions! 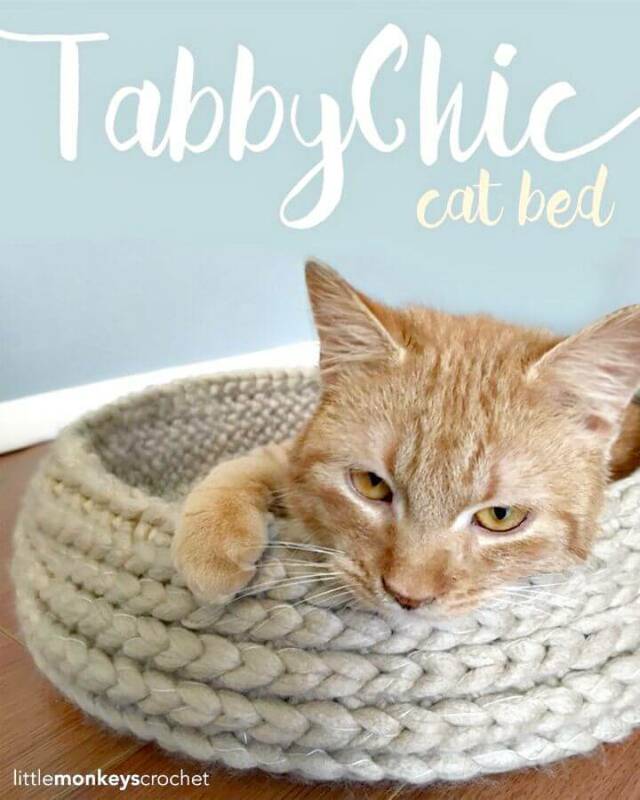 Next, the list will also guide you that how you can personalize you’re finally finished crochet cat beds and houses using custom adornments and even by crocheting custom name letters over! 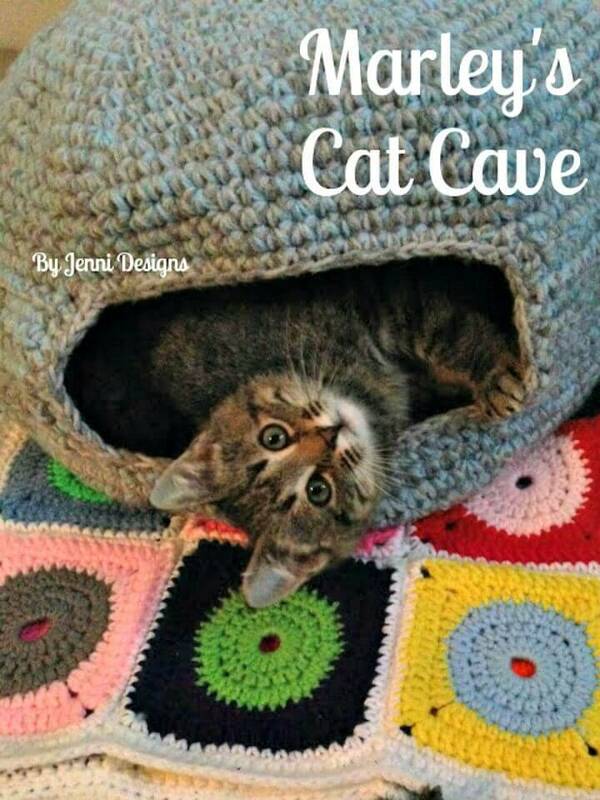 Get inspired by the give meow cave that comes with crocheted yarn name letters! 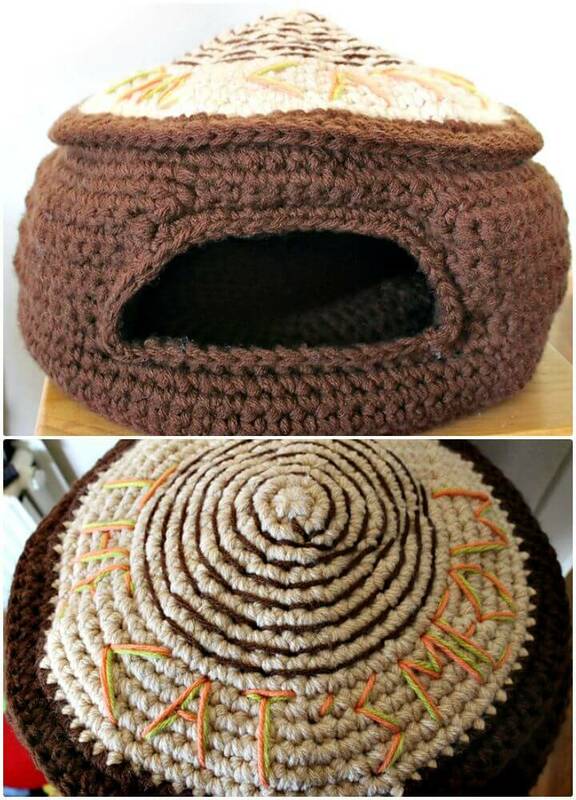 Bring also great winter comfort to your cat by crocheting precious igloo beds! 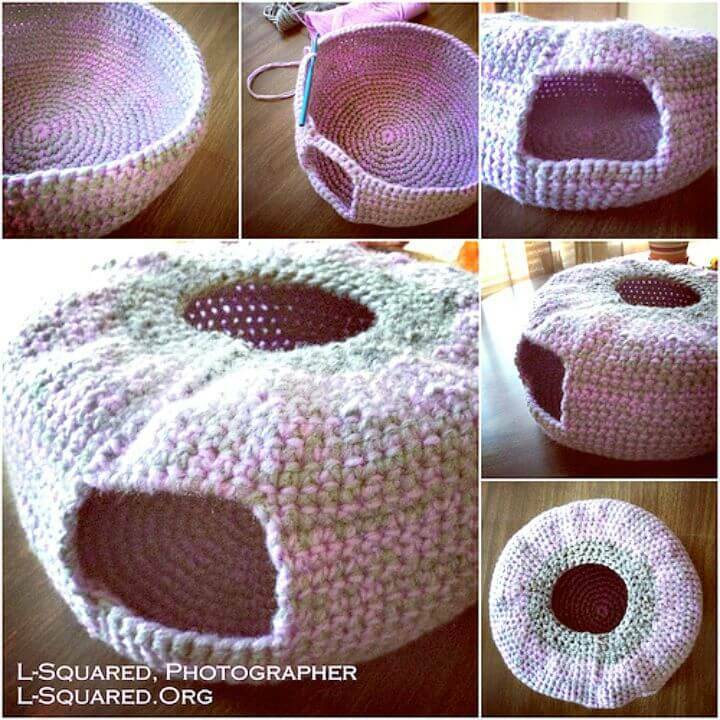 Grab the full free crochet cat bed and house patterns by clicking the links just given below each picture idea!